Some books are published at just the right time. 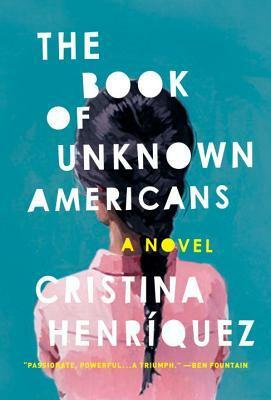 While immigration has long been an important and contentious issue in the United States, the current situation with Central American child refugees playing out at our border makes Cristina Henriquez’s The Book of Unknown Americans even more timely and relevant than it would have been if it had been published in the last few years. The broader immigration issues remain, and this riveting novel provides some context for moving forward. Fifteen-year-old Maribel Rivera has sustained a serious head injury and needs special treatment and schooling that are not available in her home state of Michoacan, Mexico. Her parents, Arturo and Alma Rivera have brought her to Wilmington, Delaware — of all places — after waiting a year for Arturo to receive a work visa. They have left most of their belongings behind and come to the U.S. with little more than hope and prayers for their formerly feisty daughter’s recovery. They share a run-down apartment building with neighbors from across Latin America, including the Toro family from Panama. We get to know Celia and Rafa Toro through the eyes of their sensitive teenage son, Mayor (“my-yor”), who is smitten with Maribel from the moment he sees the beautiful but shy new girl at the store. The Riveras have their hands full trying to adapt to the strange world of the United States, not the least of which is learning English. Arturo works punishing hours in the dark at a mushroom “factory” across the state line in Pennsylvania (it seems he is always crossing a border). Alma has to overcome a few obstacles for Maribel to gain admission to the Evers School for students with special needs. Loneliness and homesickness are her frequent companions. But the open hearts of a few people keep Alma afloat. She is befriended by Celia Toro, who serves as something of a guide to this perplexing new world — or at least to the neighborhood and Wilmington. Mayor soon realizes that Maribel is not a “normal” girl, but he finds that he likes her nonetheless, and they develop a special friendship as well. The two families become increasingly interconnected, for good and ill. In addition to trying to make their way in the U.S., the characters deal with problems that are not just limited to immigrants. Alma is punished by her guilt over the accident that led to Maribel’s head injury. Alma and Arturo worry constantly about Maribel’s physical health and emotional well-being, including her friendship with Mayor. Celia wants to work, but Rafa is adamant that it is his job as the man to take care of his family. A teenage bully with a surly manner and an omnipresent skateboard harasses Alma, Maribel, and Mayor (whom he also bothers at school). A snooty neighbor turns from a friend into a jealous gossip and passive-aggressive backbiter. Everyone is strapped for money during the difficult years of the recent Great Recession. And the relationships among the building’s other residents display the universal characteristics of such relationships anywhere. Consistent with the novel’s title, the chapters alternate between the first-person narratives of Alma Rivera and Mayor Toro. Short narratives from their neighbors are interwoven to create a tapestry of perspectives through which we experience the dreams and ambitions of these immigrants from Puerto Rico, Nicaragua, Venezuela, Paraguay, and Mexico. While the details (and the language) may be different from past waves of immigrants, their daily lives in most ways constitute the universal immigrant experience that exists in virtually every American’s family history. 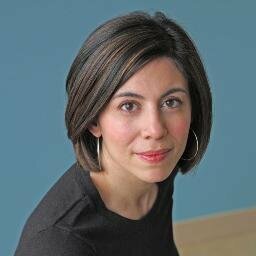 Cristina Henriquez has produced a powerful and moving portrayal of the lives of people we rarely hear from, the “unknown Americans” (all of the characters are legal immigrants). Her decision to use multiple first-person narrators adds an immediacy to the reading experience that makes this a very fast read. The various voices are idiosyncratic and credible and provide a quick glimpse into the range of life experiences possessed by immigrants. The narratives of Alma and Mayor, which make up the bulk of the book, are especially thoughtful and revealing. Henriquez has smoothly handled the fact that the characters are obviously speaking Spanish to each other most of the time. In that sense, their narratives have been “translated.” Some speak English well, but others do not (depending on how long they have been in the U.S.). But when it’s clear they are speaking English (either to each other or to English speakers), they make second language errors and use bits of Spanish when they don’t know the word in English, adding credibility to the characterization. Next What Are Some of Our Favorite Women Authors Reading This Summer?